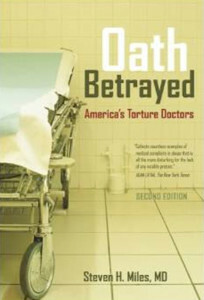 There is a clear line from Dr. Mile’s early research to his prodigious study of medical complicity in the U.S. torture program (Oath Betrayed: America’s Torture Doctors, University of California Press, 2006, 2009). He once exposed the widespread use of restraints on nursing home residents. It would be his first fight against institutional abuse of vulnerable people and a lesson in how much impact good research can have. Dr. 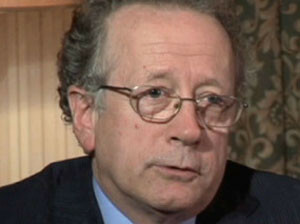 Miles is featured in Doctors of the Dark Side and Expert Witness because he is an international authority on medical complicity in torture and on the heroic health professionals who fight torture. In eight hours of interviewing, he barely skimmed the surface of what he knows about these subjects. Dr. Miles is known internationally for his scholarship and testimony as an expert witness, but he is known by those who work closely with him as a gifted practicing physician and a tireless advocate for the treatment of torture survivors. Dr. 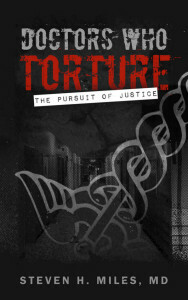 Miles latest book is Doctors Who Torture: The Pursuit of Justice, scheduled for the Spring of 2015.